If you have a keen interest in the fashion industry and want to start working for a progressive company with bright ideas, hundreds of stores are ready to receive your Marshalls application. Using innovative, cunning and often opportunistic procurement techniques, Marshalls provides high-quality branded fashion items at a significantly reduced price to the consumer. Having no fixed stock creates an exciting place for customers to explore and shop, and an enjoyable and challenging place for employees to work. The company operates stores in an inventive way, with no segregated departments or interior walls. This doesn’t just create a bright, modern area to browse – it also creates an efficient space for frequent stock rotation. Maintaining a unique and effortless shopping experience for its customers is one of the company’s key values. The concept of “Brand Names for Less” was coined by founder, Alfred Marshall and a group of entrepreneurs, back in 1956. 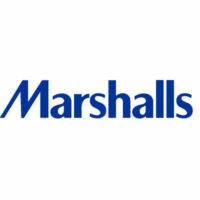 The company built its success mainly by bulk-buying manufacturer’s stock close to end of season, enabling Marshalls to offer these products to consumers at a discount of up to 60% compared to outlet stores. Marshalls, along with other well-known institutions such as TJ Maxx, HomeGoods and Sierra Trading Post, is part of The TJX Companies Inc. family. TJX is a fortune 500 company, operating in over 3300 locations – over 750 of which are Marshalls department stores. Stores are big, bold and bountiful – even though the managers don’t know what’s in stock until the lorry backs in! Marshalls careers in stores are challenging, but enjoyable for anyone looking for job opportunities in the customer-facing fashion world. The TJX Corporate Division is a hive of activity. As the base of main purchasing operations, it has been described as “the stock market of the off-price fashion world.” Direct your Marshalls application this way if a fast-paced office environment is your preferred choice of employment. How old do you have to be to work at Marshalls? It depends on the role. Generally, entry-level positions require that you are at least 16 years old. Other positions, such as those with leadership responsibilities, may require that you are 18. The company shares a belief that a work-life balance is important. For this reason, they are generous with employee benefits. These include medical and dental plans, as well as life insurance and even a college savings program. There are awards for dedicated service and all employees are entitled to a hefty store discount. Different stores have different hours, but they are generally open from 9.30am to 9.30pm – opening later and closing earlier on Sundays. Some select stores will stay open to 10pm. Standard office hours are generally kept by corporate employees. Merchandise Associate – Welcome to the busy world of fashion consumer service. You are a team player, assisting in the daily operations of the store – including stocking, greeting, housekeeping and presenting merchandise. This is an entry level position, with the hourly wage generally around the $7 to $10 per hour mark. Merchandise Coordinator – You are organized, resourceful and meticulous. You set an example in customer service and are on-hand to train Associates on merchandising techniques. Average wage is around $11 per hour, differing with experience. Loss Prevention Specialist – Stock losses increase operational costs – which in turn means less value for loyal consumers. Your job is maintain a friendly security presence and to use effective techniques to reduce the risk of avoidable stock losses. Hourly rate can be expected to start at around $12. Store Manager – You are a leader with a real entrepreneurial spirit. You know how to implement innovative techniques to increase sales and optimize staff efficiency and performance, taking accountability for the overall performance of your store. The salary is often dictated by store size and performance, but generally falls within a range of $45k to $82k per annum. Could you describe the difference between good and exceptional? This question is used to find out how you would go above and beyond your job description. Give a concise answer and come across as someone who cares about how you perform. Is there a person in your career that has made a real difference to you? Talk about someone you have learned from – show that you have been able to pick up skills from people in higher positions than you. If this is your first ever job application, pick an individual like a teacher who has inspired you to work hard. What would your personal goals be, should you get this position? The interviewer wants a candidate interested in career progression. Talk about some skills that you could develop, and maybe link this to a timeframe for accepting more responsibility. When was the last time your work was criticized? Gear the conversation towards how you take advice on board, assess critique and adjust your performance to improve. Everyone is human – the interviewer just wants to know that you can learn from mistakes with humility. How do you often spend your spare time? You are being gauged as a person. Someone sociable is more likely to work well with others in their team. Writing, or playing music indicates that you are a creative person with ideas to share. Local team sports are a good reference too. The TJX website includes a ‘download application form’ facility, which you can use to obtain a printable application for Marshalls. Alternatively, you can apply online by submitting a web-based application form. In either case, a direct application is often perceived better by a prospective employer. Take care when completing your free application – whether that is a printable application for or an online application. When you apply for jobs at Marshalls, applications will include your resume. Research all Marshalls jobs online in case you are quizzed about other aspects of the team or structure. As with any interview, be honest – this is a chance for you learn more about the position, just as the company is learning more about you. Many people find it helps to bring along a printable application form for reference. TJX like to conduct short, informal interviews for most store positions. Really, they just want to get a feel for how you are likely to gel with the team. If you are polite, friendly and enthusiastic in your interview, you will give yourself the best chance of landing a job offer. Use the link below to find out how to apply for Marshalls online and to check if the company is currently hiring in your area.